In large skillet, fry onion, green pepper, mushrooms and corn until vegetables are tender (about 8 minutes). Let cool. Heat one tortilla stack in large skillet over medium heat for 2-3 minutes. Turn tortilla over and repeat for another 2-3 minutes or until cheese is melted. Repeat with remaining tortilla stacks. 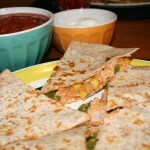 Serve with salsa and sour cream. It’s delish! 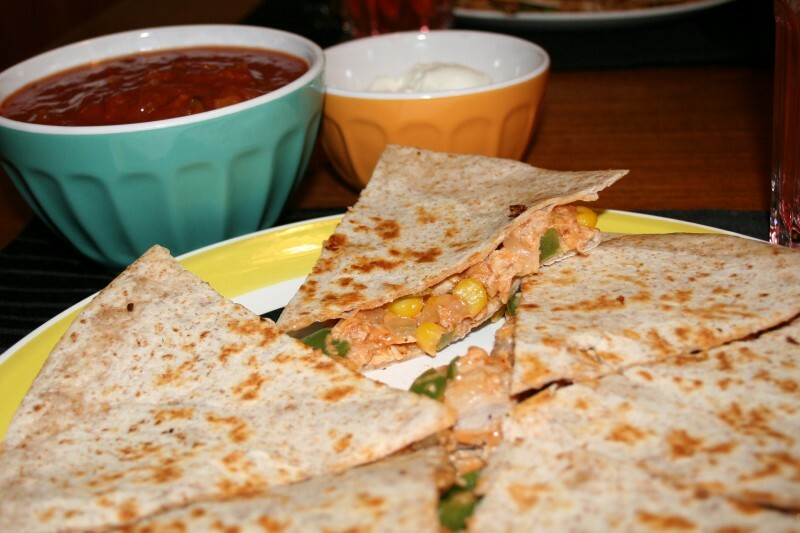 I've always loved chicken quesadillas when we go out, but hadn't tried making them before. I was pleasantly surprised at how tasty these were!